Twenty minutes ago, I woke from a deep sleep. I had a dream. I was in a large artists loft. I felt my sister and mother were talking about me. All I had to do was go to the top floor where they were, and end this gossiping, these dark rumors. I headed up the staircase, then, woke with a start. They are dead. My chance, our chance, to make amends, was over. However, I can make a difference. I am alive. I can honor them in this blog. Then the truth that is so hard to accept, came home. Vicki and Mark Presco did not tell me my mother was dying. I missed saying goodbye by ten hours. Why? How can humans be so cruel, least ones family. Then, the truth was made manifest. 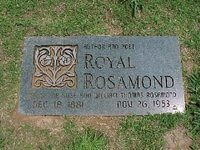 My siblings were afraid Rosemary would repeat what she told me weeks after her daughter was dead. Christine, killed herself. My evil siblings denied me basic human rights and dignity. They denied Christine and Rosemary a redeeming place in human existence. They then went after my newfound daughter. They wanted me to take my life, too. In all ennealogies, you have a birth and a death. Mark and Vicki tampered with this truth because they were not born with any gifts. From 1994 to 1097, they lost Christine, Vic, Rosemary, and myself. They also lost Shannon Rosamond, Christine eldest daughter. They then made Stacey Pierrot their surrogate sister – for money! I have a daughter and a grandson. Welcome home, my sister and mother! You will always have a rightful place in my heart.